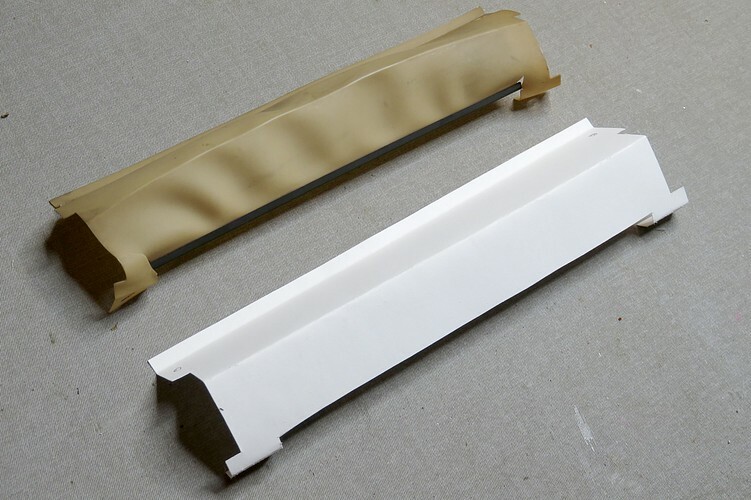 The plastic pilot light diffuser was reproduced with some 90 weight paper which was given two coats of flat clear coat. It probably won't glow the way the plastic did. 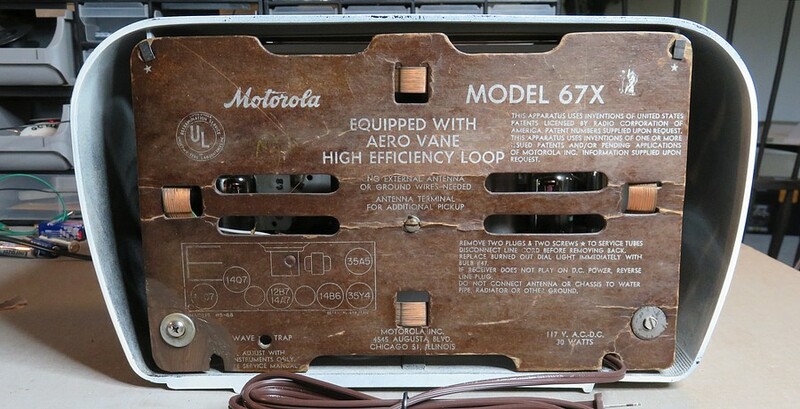 It's Motorola part number 35B77311 but they must be all out because I can't find one online. Can you believe that? Finally, the last task before assembling the radio was to polish up the dial face. Considering the decrepit condition of the rest of the radio, this was in remarkable condition. It's still crystal clear. 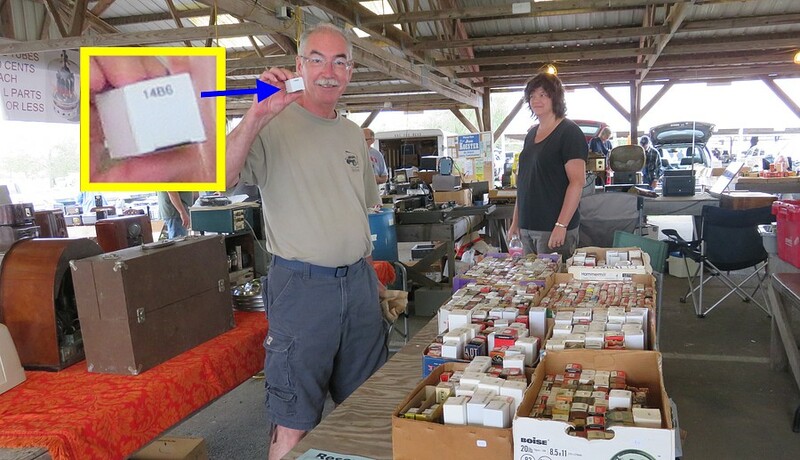 Friday September 21, 2018 and there was a big radio show in Kutztown, PA. We drove up to get a replacement 14B6 vacuum tube. We bought the tube from Radio wild. 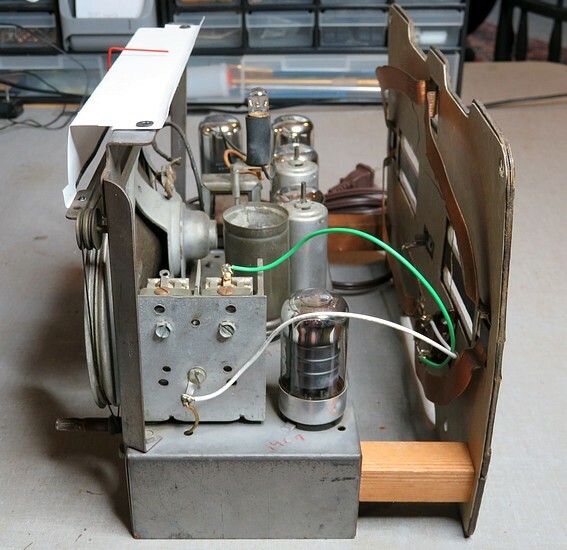 With the old tube replaced, the radio was aligned by using a regen radio tuned to 455 kHz as a signal generator. 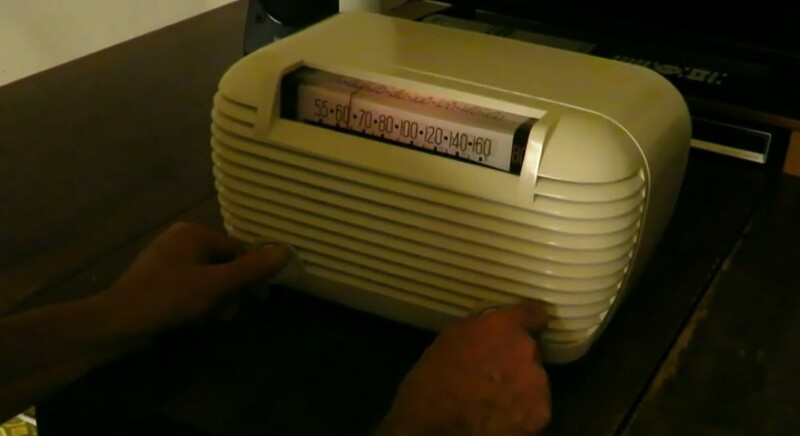 The Sony radio in the background was tuned to 455 kHz and then the regen radio was tuned (with the sound down) till the squeal could be heard in the Sony. 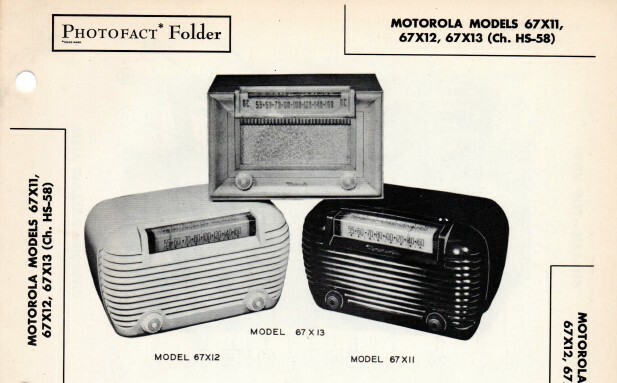 Then, a clip lead was attached from the regen radio to the Motorola. 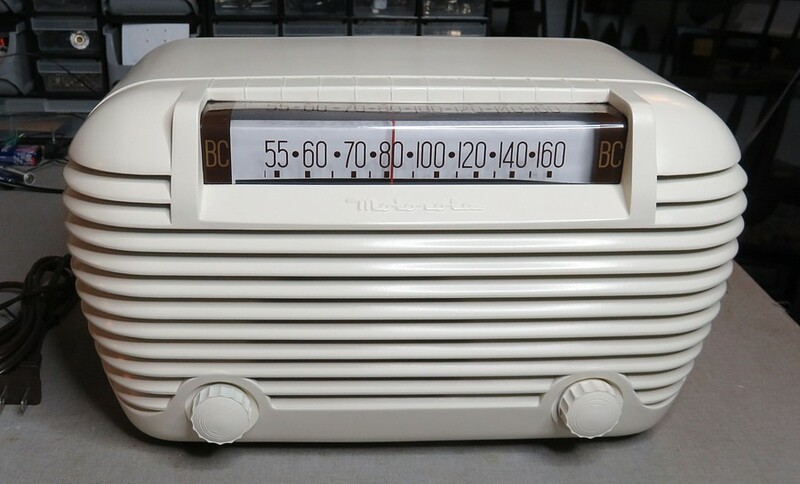 I spent $75.00 repairing a $50 radio that nobody wants. If I didn't melt the knobs and have to buy reproductions I would have broken even. That's OK. When I started, it wasn't worth anything at all. Another old radio saved from the landfill. 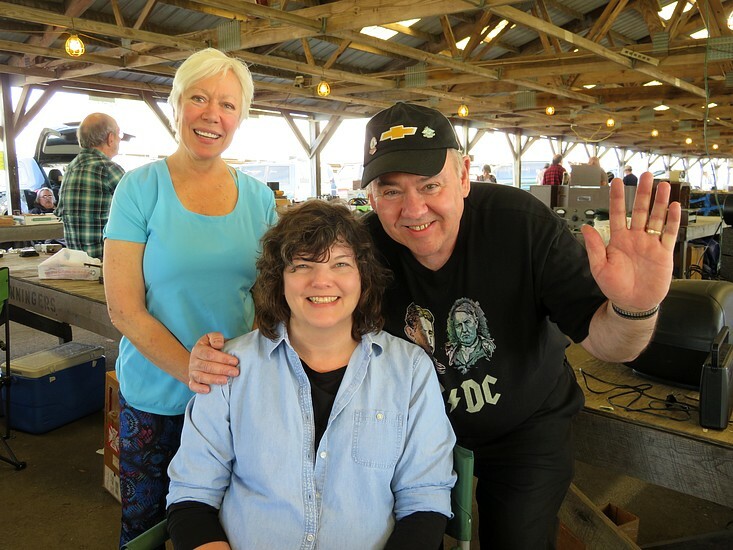 Here is the Sam's PHOTOFACT in .PDF format.